Despite the health risks present in Argentina, it is still generally a safe country to live in. But the old adage ‘prevention is better than cure’ is something that travelers and expatriates alike should take to heart. 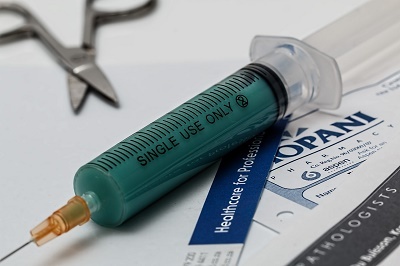 While there are no required vaccinations to enter the country, there are a few that expatriates are recommended to have before entering this South American expat paradise. These recommendations are mostly based on which region in the country you plan to relocate to. Topping the list of recommended vaccines is that for yellow fever. It is worth noting that the threat of contracting this disease is only present if you are to go to Argentina's highly-forested areas such as Paso de los Libres, San Miguel and Santo Tomé departments in Corrientes. The risk of being infected with Hepatitis A is also one that any expatriate would be best ready for. For a foreign national who's eager to experience Argentina in the most ‘authentic' way possible especially when it comes to food, one is likely to be at risk for this disease. If you can’t prevent yourself from eating sumptuous Argentinean delicacies, it is best to consider getting a vaccine which can help you prevent getting sick from Hepatitis A. For the more adventurous expatriate, rabies is also a potential threat to impeding one's otherwise happy existence in Argentina. Due to its abundance of natural resources, the country's forested regions are abound with wild animals. A rabies prevention shot is recommended before you go to Argentina, as it would best ensure that you stay safe even if you decide to live in close proximity to forested, animal-frequented regions. Although these diseases are not a daily threat, there remains the possibility of getting contaminated during your relocation. So, in order to ensure that you enjoy your expatriate experience in Argentina to the hilt, make sure to get vaccinated before you move.